I have no love for tumbleweed, but it’s not a force of evil in my life. I’m not a major landholder and I don’t manage irrigation canals, so the noxious plant and I keep our distance and glare at each other from across the ditchbank. Puncturevine, on the other hand . . . for puncturevine I harbor a more active hatred, a seething need for revenge, a desire to strangle the life out of the plant. You see, this is personal. This plant has cost me money, and it has caused me pain. I am a commuter bicyclist. I use my bike to get around, and also for recreation. I was traveling happily around town, documenting the Monument Valley Pathway, when I stopped at one point to take a picture and noticed something sticking out of my tire. I looked around, and didn’t see anything thorny-looking. I figured it must have fallen from some landscape removal project or something. The all weather trail will be a vast improvement to the puncture vine covered canal road currently used by walkers. But I remained innocent for a few weeks longer. I biked over to the Monument for a hike, then biked home. With about a mile left in my journey, I noticed something wasn’t quite right. Stopped, and found the back tire was squishy. Looked further, and . . . another thorn in the tire. Pulled it out, and heard “pshhhhhhhhhh”. Pumped up the tire enough to make it almost the rest of the way home, walked the last few blocks, and decided to look up this thing called “puncturevine”. These silly guys demonstrate the bicycle hazards of puncturevine/goathead. The puncturevine seeds in the wanted poster above were picked out of the bottoms of my shoes after a one-block walk through a weedy yard. They are everywhere! I had an a-HA! moment when I read that it’s not the plant stems that harbor the nasty thorns, it’s the little seeds. The plant looks completely innocent until you look at the fruiting body. The “nutlets” have the awful, thumbtack-like spines. The baby plants within those spiny cocoons can last for decades in the environment, and in a good year, a single plant can produce some 5,000 of those little suckers! And these plants grow very well in dry, disturbed environments . . . like the miles and miles of weedy fields, ditchbanks, and roadsides we have in this part of Nebraska. I am not good at patching bike tires, and I was about to give up on riding my bike any distance around here when I got some advice from my Facebook peeps: go to Sonny’s Bike Shop in Scottsbluff (1717 E. Overland). Yes, indeedy, the folks at Sonny’s know about puncturevine. This is your bike tire. 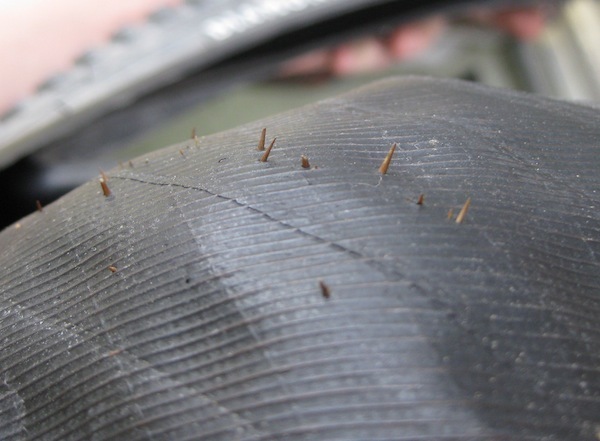 This is your bike tire on puncturevine. Any questions? And they have a solution: super-thick inner tubes, lined on the outside with the slit remains of your wimpy, thin inner tubes. So, husband and I shelled out to get our bikes upgraded with inner tubes appropriate for puncturevine country, and, so far, so good. But I still loathe this plant. I have been studying the photos on a University of Calfornia-Davis website, so I will know the living plant when I meet one. And I am studying up on how to get rid of them. There are several control methods. The best option is to pull up the plant by its taproot, preferably before it fruits, and bag or burn it. The folks at Idaho Weed Awareness Campaign show you how. Unleash the beasts: weevils can be used for biological control in badly infested areas, but when the puncturevine population crashes, so will the weevil population (classic predator/prey dynamic), and the plants can then get a head start on a new infestation. Burn, baby, burn! The favorite pyromaniac option, burning can also be used to kill off puncturevine, but be careful, only YOU can prevent out-of-control weed fires. In some cases, herbicides, mulches, and competitive exclusion by desirable plants can work. For the best local advice, contact your Nebraska extension office. 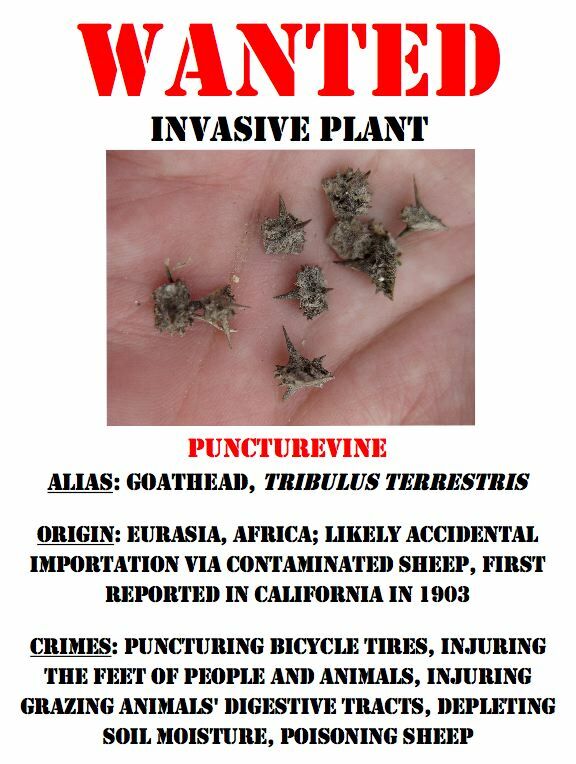 With springtime advancing, puncturevine hunting season will soon begin. Join me. Become part of the anti-goathead minion. Bwahaha! Let’s kill off these nefarious plants once and for all! “a seething need for revenge”.. I like you already! Those super thick inner tubes must weigh 5 pounds each! Seems like they have to be standard gear where you live.. In Tucson we have trees with thorns… if you avoid running over sticks, you are ok… but a bi-monthly tube change is almost de rigueur.. I didn’t think to ask how much the thick tubes weigh. I bet the difference would be noticeable on a racing bike. As the next commenter says, there’s also kevlar inner tubes available, though I’m betting they’re more expensive. Once the plant has matured to produce seeds, pulling is the only option. I’ve found the best solution is one of those 3-4 “fingered” hand-weeders. Each puncturevine plant is likely a nasty prickly octopus with all “legs” leading back to the center with a relatively shallow taproot. Find the center, dig the “fingers” of your tool down and underneath the “center” and gently and slowly pull up…careful…those seeds easily fall off. Deposit them in the trash or a sacrifice “compost pile” you won’t be using for years. Wow! Thanks for the plant-killing advice! I’d read about the supposed hormonal impacts of puncturevine, but I didn’t see any scientific evidence of efficacy in humans, so I mentally filed it under “quackery”. Plus, if it can poison sheep, maybe it’s not such a good idea to eat it? Try passing a sewing needle through a piece of kevlar. It will pass through with no resistance just like it would with any other fabric. Kevlar was developed to dissipate the energy of speeding bullets and was not made to protect from sharp things like knives or goatheads. 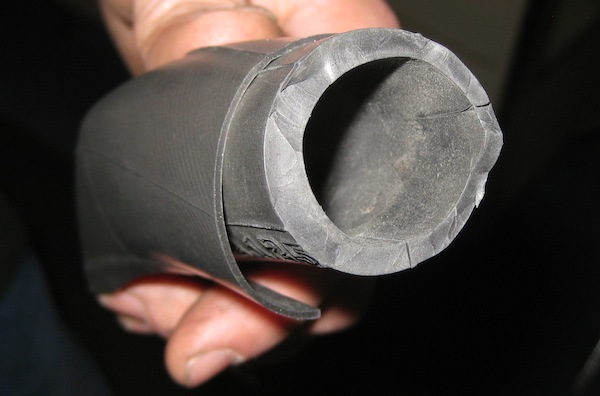 That’s why kevlar IS a joke when used in a bicycle tire. Sorry, but that’s the truth. I am speaking from experience, just like when I say that Slime works pretty well. I’m with you all the way on this one!!!! Thanks for the input, Eric. So far, my thick inner tube and lined tires are doing the trick on my commuter bike, but it may be a different story if I get a road bike. My strategy in the ally behind my house is to hoe the little suckers into oblivion before they have a chance to bloom! We just bought a little acreage in Torrington filled with puncture vine. I’m thinking of experimenting with the weevils – maybe I can grow a few fines inside the barn to overwinter? I hear that goats can help control the stuff, too. They can apparently eat the whole plant – seeds and all! I have a friend who raises goats and they don’t. But another friend says she got rid of them with geese. However, then you have to protect the geese from predators. Truly this is a devil weed! The weevils work. Seed weevils lay eggs on green seed pods, and emerging larvae bore into the seedheads, and eat the seeds inside. The stem weevils eggs hatch on the stem and larvae bore into the stem, they emerge a month later. Chewing their way out of the plant. Think invasion of the body snatchers, as they eat their host from the inside out. The adult weevils also chew on the weed, and the cycle begins again, until the weeds are dead. The beetles eat nothing but puncturevine. Now that is revenge on puncturevine. My weevils are coming on Thursday. I can’t wait to see them and pray they start working. we have a heated quonset workshop, I will try to get them to overwinter. Weevils released and hopefully eating and laying eggs. It’s a 25 day life cycle – I’ll let you know. 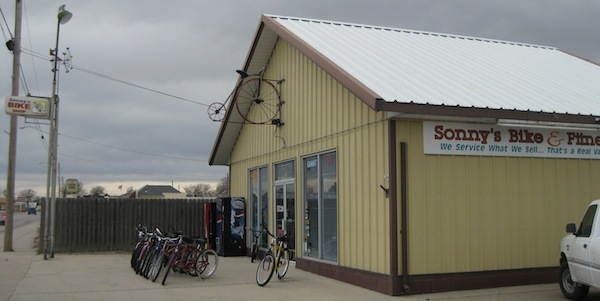 For those like me, who are not fortunate to live near sonnys bike shop in scottsbluff, what I suggest, is that when you catch your next flat, (god forbid it,) and are changing your tire, take the now punctured inner tube, cut only the stem valve off, and carefully place it flatly back inside the tire, carefully lining the tire bottom with it. Then insert your new fresh working inner tube on top of it. This will give the new inner tube 4x greater extended thickness protection against goat heads, staples, and nails. Since using this idea on all my bikes, me personally, I’m still waiting for another flat. That’s a good tip! Thanks!